Orientation. That big word associated with hope, anticipation, and perhaps even a bit of fear. It’s coming your way, but you don’t know what to expect. “Will this be the start of something promising?” You wonder. The optimist in you is determined to make the four days the best in your life yet, challenged only by the quiet naysayer that co-habitates within your heart, a soft voice which whispers fears and worries about that oh-so-hyped-up event. “What if I can’t make any friends during Orientation?” “What if it just ends up being the worst event of my life?” True, those are valid concerns (and so emerges the naysayer in the writer), but don’t ignore the trusty old optimist which asserts that it’s still too early to tell, especially when you suddenly realize: “Hey, I actually don’t have a clue about what ANY of the four days entail!” So here’s a little help on that. Now, let’s go back to the root word. Variations and related short forms include OG, OGL and even OGlings. Let’s get started clearing down all those clouds of confusion that might have subconsciously scattered over your head as you read through that sentence. The OG is just about the most important term throughout your entire course of orientation. Those two letters will be like family to you in your ever-expanding vocabulary of short forms in J1, a parallel to what they stand for throughout the duration of your orientation. The OG, or Orientation Group, is a group of twenty people from your house, who are just as excited, clueless and scared as you are on your first day. The First day, a first awkward ‘nice to meet you’, and a first eagerly returned “how do you do”; this group will stand testament to a series of your firsts in this new phase of life. This is also when any pent-up gender awkwardness slowly melts away, because, as in life, you don’t get to choose who to be with. Say goodbye to your girl friends or bros, say hello to that long-dreaded (or long-awaited) gender interaction! Each OG will have approximately ten boys and ten girls, so you better beat off those stereotypes you hold of the opposite gender, because the next thing you know, you will be dancing with someone from that foreign species in a traditional(ly embarrassing) orientation event called the batch dance. But hey, who said it had to be awkward, right? Your confident self proclaims that as a true Rafflesian, you will embody the Fortitude of the FIRE values and be a good sport even when the going gets tough (or really awkward) during the batch dance. Over the course of orientation, you will need seniors, who put the ‘L’ in ‘OGL’. As Orientation Group Leaders, they will be grouped in threes to fours, heading a single OG, and looking out for who they affectionately term as their OGlings. And there you have it, this is what makes up a basic OG unit, with people from different genders, schools and even levels coming together as one unit, ready to brave the new challenges that orientation, or even J1 life, will throw at them. “Wait! I still don’t know what the next four days are going to entail!” Before you start panicking again, let’s hear from the Orientation I/Cs themselves regarding the key highlights of Orientation. According to Ruthanne, “Each day typically has at least one highlight, so Station Games, War Games, External Activity and O’Nite are definitely things to look out for. 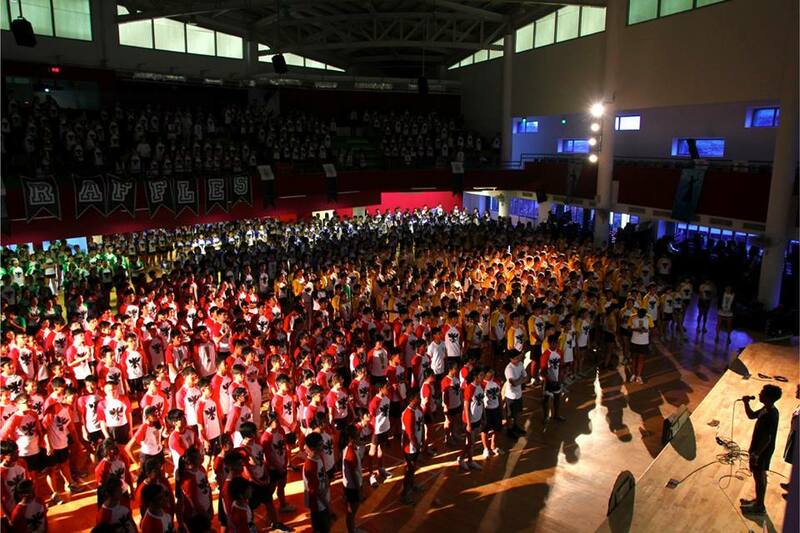 Our Storyline plot and decorations this year are quite amazing too, so if you ask me, I’d say everything is a highlight!” The other Orientation I/C, Ernest, feels that the Batch Song and Dance are events to look forward to. He also reveals that this year’s theme, Kaleidos, was chosen based on the hopes for the J1s’ new school life to be similar to a Kaleidoscope, where filtered rays of life can pass through to form an array of incandescent colours, symbolizing the start of a vibrant experience. For those who are worried about dancing with two left feet, fret not, there is another more exciting highlight to look out for. OGlings (time to get used to being addressed with this new term!) 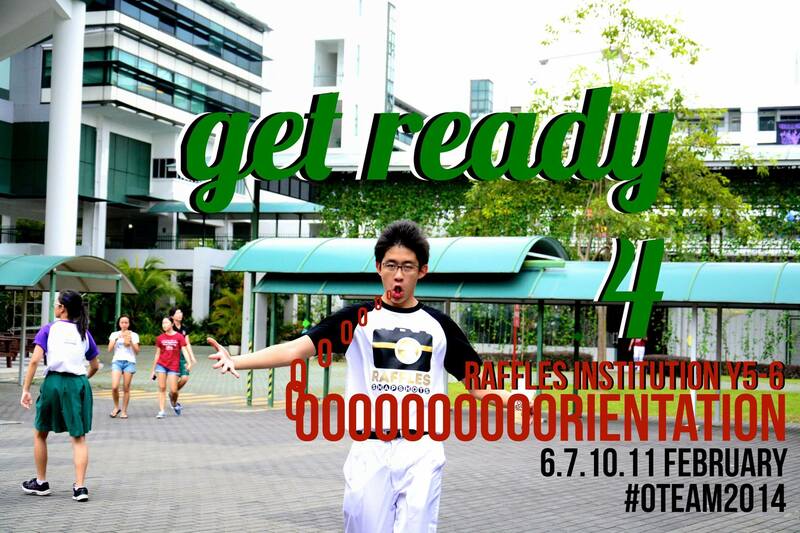 can look forward to O’Nite, which is the final night of Orientation. Each OG will get to dress up under themes that are decided by the OGs themselves, and there will even be a prize for the best dressed from each House. OGlings can dress up as superheroes, soft toys, or even an invading species from Mars. (Just remember to keep your costumes appropriate for a school environment!) At the mention of O’Nite, Arjun recalls how his own OG dressed up as a wedding procession, complete with bride and groom, best men and bridesmaids, a wedding photographer, musicians, and even flower girls! Needless to say, the OG swept everyone off their feet and proudly won the Best Dressed OG award for their house. However, amidst all this fun and games, it might be time for the easily-tired to do a little bit of mental preparation. The programme ends at 5pm everyday, except for the last day, which will culminate into an event (O’Nite) that will end at 7pm. OGlings might also want to note that most OGs choose to stay back for OG dinners to enhance the Orientation experience, making the daily schedule end even later, depending on how enthusiastic your OG is. Regarding this, Arjun shares the personal experience of his first OG dinner. “You should also make the most of your OG dinner on the first night. After every day during Orientation, all OGs go out to eat, but I think it’s safe to say that that first meal is the most important by far. Start talking to your OG mates. Get food together, share your likes and dislikes, your CCAs, play games like “Two Truths One Lie” – whatever works! Just be as open as possible and make that night last for as long as possible.” However, the writer would like to caution all incoming J1s to prepare themselves for the “people mountain people sea” at J8 during dinnertime throughout the course of orientation, made up of people none other than their very own batchmates. As such, it would be good to explore other alternatives, such as going to the nearby Thomson area, or even ordering pizza to school. While Orientation might sound like a very exciting experience for many, some may find it very daunting because of the energy and enthusiasm it requires over the span of four days. This may be a little overwhelming, especially for some of the new JAE students who have just entered Raffles and are new to the school environment and culture. However, Arjun gives his take on that. However, if one were to ask any J2 senior regarding the sustainability of the bond in their OG, it would be easy to find out that not all OGs manage to stay together amidst all the challenges and new unshared experiences that come as part and parcel of J1 life. While some OGs, like Arjun’s, can proudly claim their title as “one of the most bonded OGs in the batch”, “meeting for breakfast every morning and making it a point to go out during every holiday, even going for school events and plays together”, it would only be fair if the other side of the picture was shown. It is the truth that many OGs do ultimately break apart, with the duration of this process depending on how much effort the OG puts in. An anonymous Year 6 even declares, “I haven’t seen my OG since the end of Orientation!” But regardless of the final outcome, just like how Year 6 Leong Yee Ting wisely puts it, “Just be open and try to treasure what little time you have with your OG mates. Maybe you were thrown together for a reason; maybe not – but that shouldn’t stop you from enjoying the moment while you can, and just let it be thereafter.” In fact, instead of not letting it hinder you, let it be your motivation. Be that person that you’ve always wanted to be; get to know the people you’ve always wanted to know; make full use of the time you are given with your OG, because that fresh, new, experience as a wide-eyed J1 only comes once. Concluding with a heartfelt statement from Arjun, “Most people don’t remember the specifics of any of these activities during Orientation – in fact, most of us have long forgotten the steps to our Batch Dance – but you will always remember the experience.” Orientation might be The Good, The Bad and The Ugly, but who cares? Nothing changes it from being Your Orientation. With that, the writer wishes all J1s (or soon-to-be OGlings) an amazing Kaleidos 2014.